E Commerce website design for Illustrator Katy Mac. A fun but functional website to showcase and sell her work online. 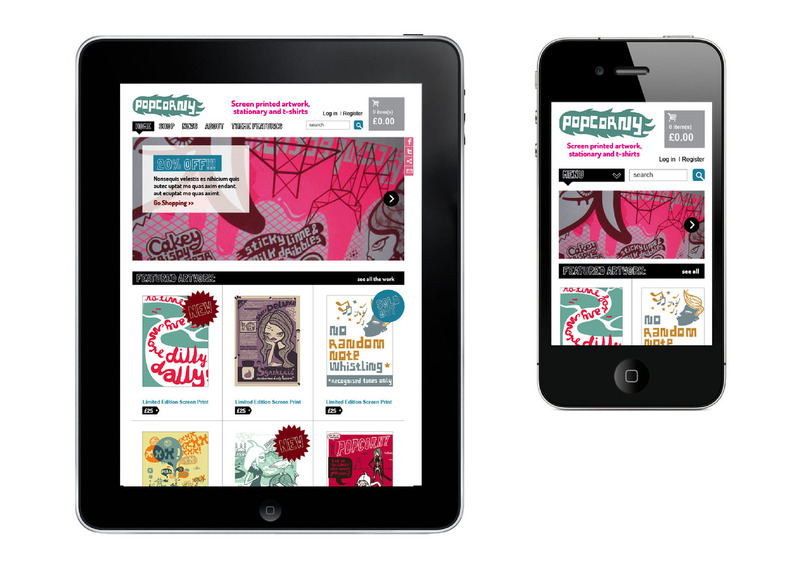 I designed the website, which looks great, whether viewed on a mobile phone, or a large screen. Katy is delighted with how her illustrations look, and her work is displayed at its creative best. This is where I tell you I’m different from other design agencies in Devon. Shhh. Don’t tell anyone. I’m better. I offer more comprehensive service than other creative and graphic designers because it’s just me. When it comes to creative, small is what you need. Small cares. Small goes the extra mile. Small doesn’t dump your website design on a work experience person once it’s reeled you in. Every branding project, every website, every beautiful print job which leaves Nice fits our high high standards. Which is why clients big and small try us, love us and come back for more.